The shortlist for the Golden Man Booker Prize has been revealed. This special one-off award for Man Booker Prize’s 50th anniversary celebrations will crown the best work of fiction from the last five decades of the prize. In a Free State tells first of an Indian servant in Washington, who becomes an American citizen but feels he has ceased to be a part of the flow. Then of a disturbed Asian West Indian in London who, in jail for murder, has never really known where he is. The central novel then moves to Africa. The land is no longer safe, and at a time of tribal conflict two English visitors have to make the long drive to the safety of their compound. At the end of this drive we know everything about the English characters, the African country and the Idi Amin-like future awaiting it. Moon Tiger is the tale of a historian confronting her personal history, unearthing the passions and pains that have defined her life. Claudia Hampton, a beautiful, famous writer, lies dying in hospital. But, as the nurses tend to her with quiet condescension, she is plotting her greatest work: ‘a history of the world … and in the process, my own’. Gradually she recreates the rich mosaic of her life and times, conjuring up those she has known. Through an exquisite mesh of memories, flashbacks and shifting voices, this is a haunting story of loss and desire. Wolf Hall is set at the court of Henry VIII in the 1520s. Cromwell is a wholly original man: the son of a brutal blacksmith, a political genius, a charmer, a bully, a man with a delicate and deadly expertise in manipulating people and events. Ruthless in pursuit of his own interests, his reforming agenda is carried out in the grip of a self-interested parliament and a king who fluctuates between romantic passions and murderous rages. 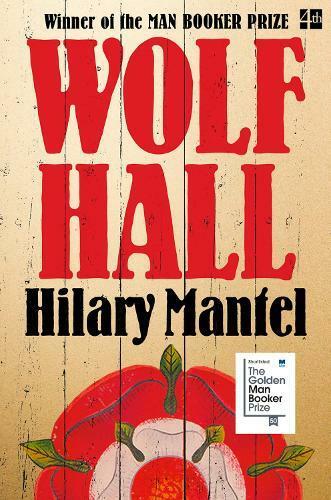 Wolf Hall peels back history to show us Tudor England as a half-made society, moulding itself with great passion, suffering and courage. Lincoln in the Bardo is the tale of Abraham Lincoln and the death of his 11 year old son, Willie, at the dawn of the American Civil War. Unfolding over a single night, this is a story of familial love and loss that breaks free of realism, entering a thrilling, supernatural domain both hilarious and terrifying. Willie Lincoln finds himself trapped in a transitional realm – called, in Tibetan tradition, the bardo – and as ghosts mingle, squabble, gripe and commiserate, and stony tendrils creep towards the boy, a monumental struggle erupts over young Willie’s soul. Readers are now invited to have their say on which book is their favourite from this shortlist. The month-long public vote on the Man Booker Prize website is now open and will close on 25 June. Read more about the shortlisted titles, and find information on how to place your vote here. The winner of the Golden Man Booker Prize will be announced on 8 July.